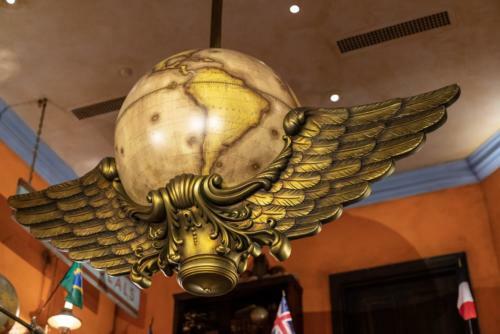 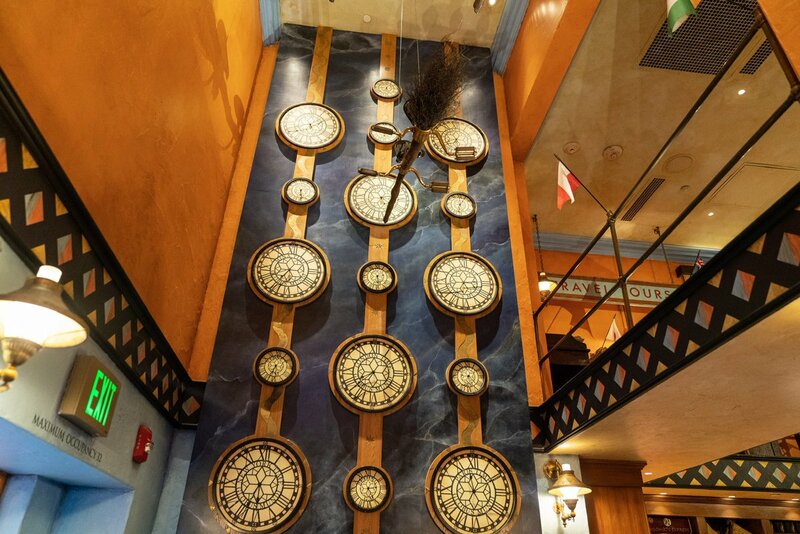 An original creation by Universal, Globus Mundi is the travel agency of the Wizarding World. 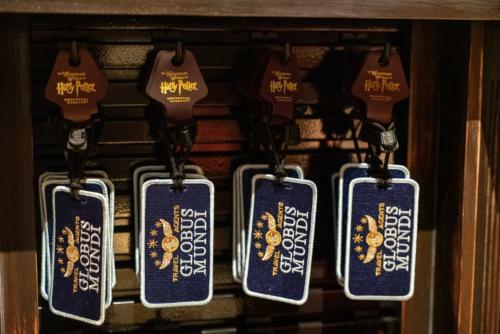 All of its wares, as such, are themed to traveling, from its sweatshirts and mugs to its key chains and Hogwarts Express tickets. 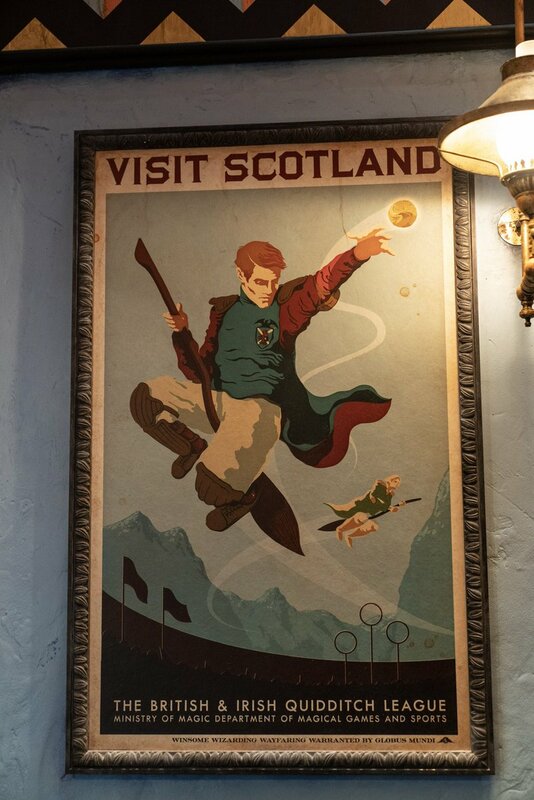 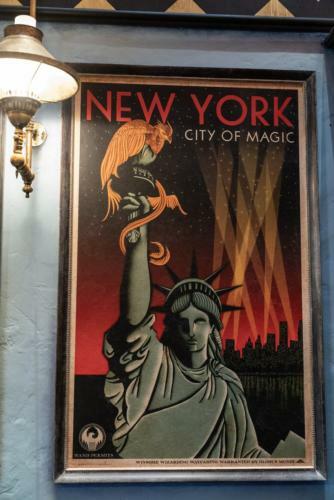 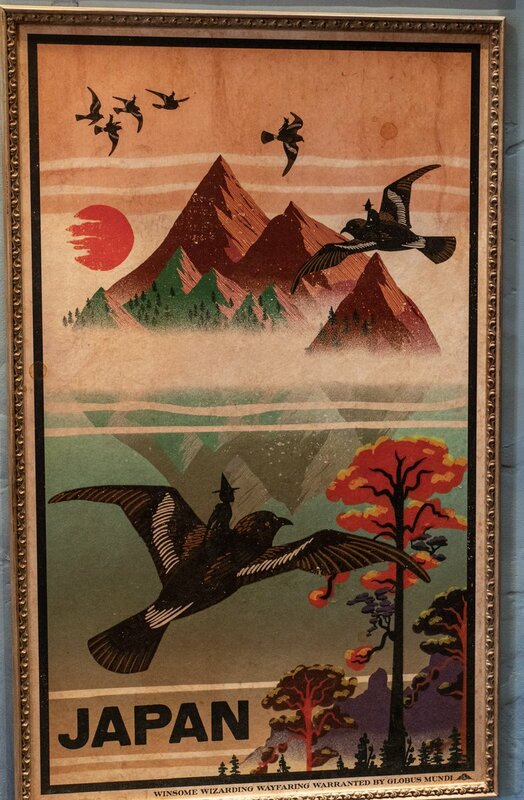 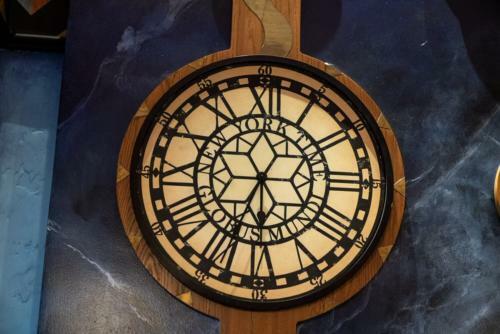 Expect to find tons of travel posters (including some that nod towards the new Fantastic Beasts spinoff film series) and clocks keeping track of the various time zones all across the planet. 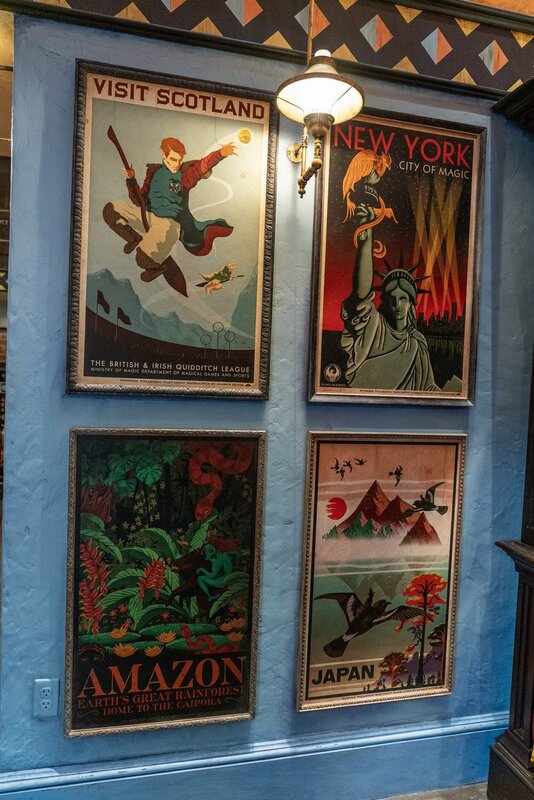 And as if that weren’t enough to make you feel as if you had stepped into a travel agent’s (magical) office, then keep your eyes peeled for the various signs indicating “travel tours,” “package deals,” and the “ticket office.” You’ll be ready to hop into the Floo Network before you know it! 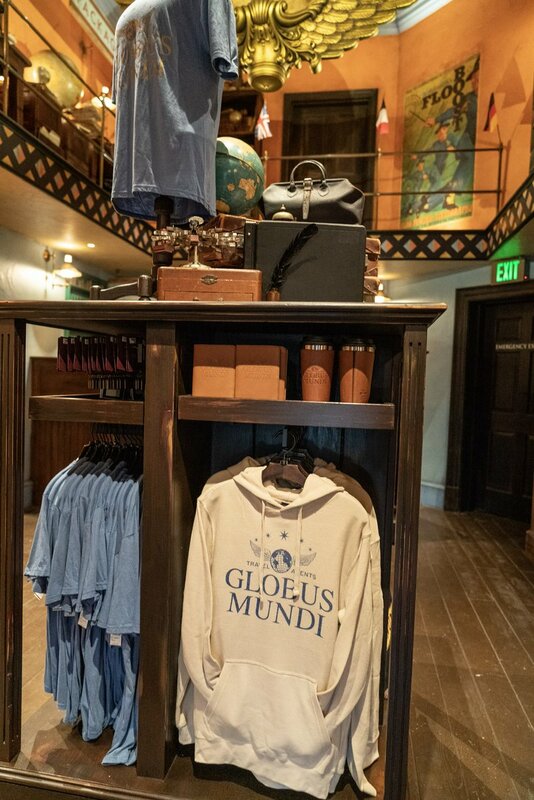 Any- and everything having to do with travel is represented in Globus Mundi, which means you’ll also see some items from the other wizarding shops relocated here, most especially Platform 9 3/4 merchandise. 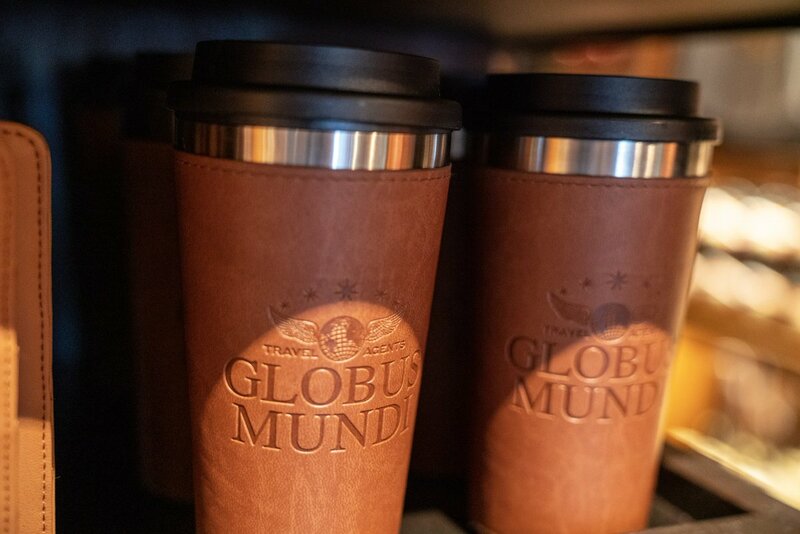 “Globus Mundi Travel Agents” specifically can be found emblazoned across t-shirts, hoodies, luggage tags, tumblers, and key chains. 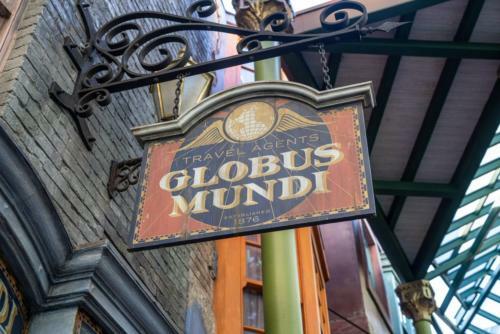 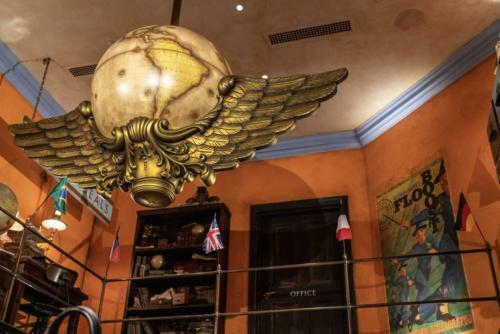 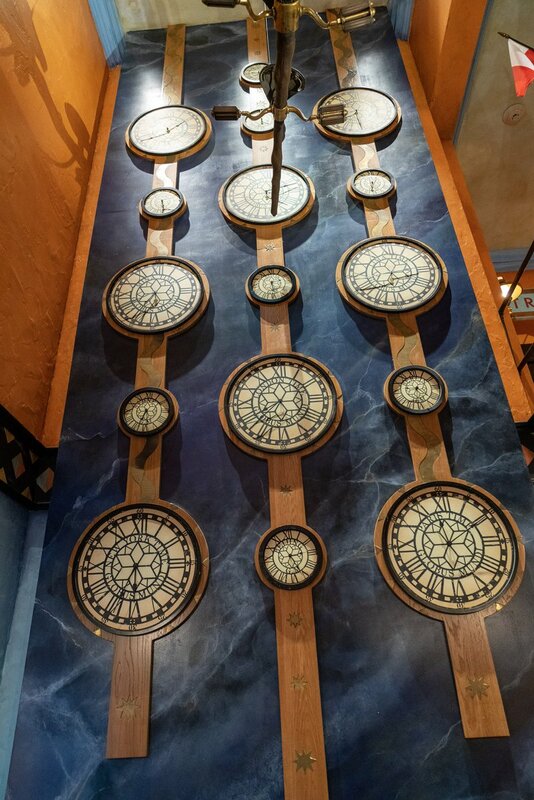 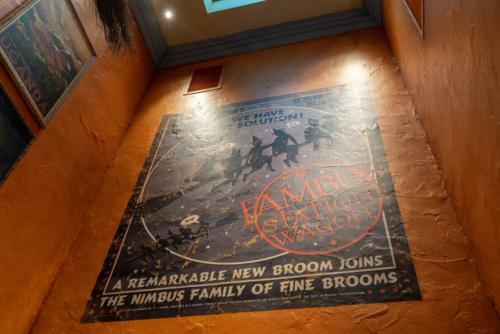 Globus Mundi originally started out life, in July 2014, as one of the three show rooms for the next-door Ollivander’s Wand Shop (which has its storefront facing Diagon Alley proper). However, as the years passed and as the demand for the wand-chooses-the-wizard show decreased, Universal realized that the real estate could be better used for a brand-new retail experience, and the third theater space, the one closest to Carkitt Market, was shuttered in August 2018. 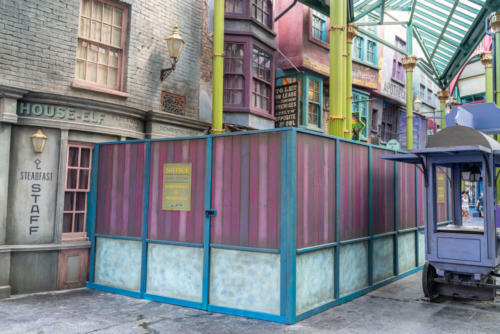 The facade that had originally covered this area, the House-elf Placement Agency, was removed and the wall demolished, creating an entranceway to what would be the new shopping venue. Why the brand-new concept of Globus Mundi, which didn’t originate from either the Harry Potter novels or films? Easy – Universal had already created, designed, and got approved (by author J.K. Rowling) the travel agency’s sign, which was initially inserted in the opposite corner of the market, over by The Hopping Pot, right from day one of Diagon Alley‘s existence (the company needed a lot of material to populate all of the area’s fake storefronts with). The idea of a wizarding travel agency was an intriguing one, not to mention a merchandisable one – which is exactly what happened three-and-a-half years after Diagon Alley’s opening, in December 2017, when Globus Mundi-branded items started to make their way to various stores throughout the Wizarding World. 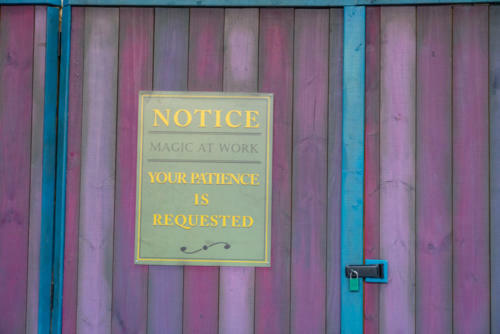 Carkitt Market has easily seen the most changes since The Wizarding World of Harry Potter – Diagon Alley opened in 2014: first, Shutterbutton’s Photography Studio was moved over to Diagon Alley (the street) and replaced by Sugarplum’s Sweets Shop; then, Globus Mundi took up residence; and, now, Owl Post has been fleshed out from being another faux storefront into an actual retail offering. This is partially due to the fact that Harry Potter is a perennially in-demand property, with insatiable fan demand for more, and partially because this corner of the Wizarding World was originally meant to be simply the relaxation area, with the stage (where both Celestina Warbeck and Tales of Beedle the Bard are performed) and hole-in-the-wall bar (The Hopping Pot) dominating the space here.